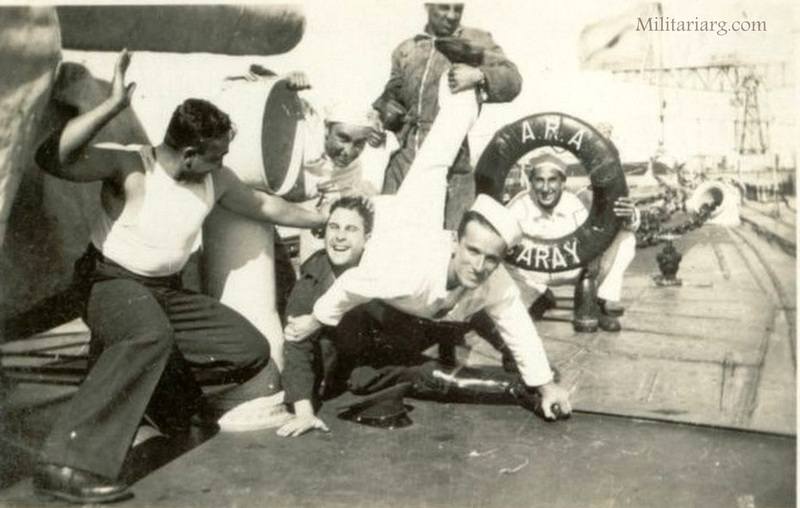 Postcard from the 1930s from the Battleship Moreno. Ara Sarmiento. Photo: Caras y Caretas. ARA Rivadavia. Caras y Caretas 1932. 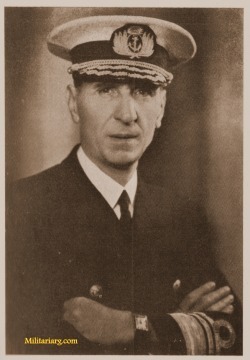 Studio photo of Argentine sailor in 1940s. This photo is of a naval cadet in a visor hat and shirt in the pure British style (Royal Navy). Fatigue Enlisted Uniforms from 1950s, US Style. 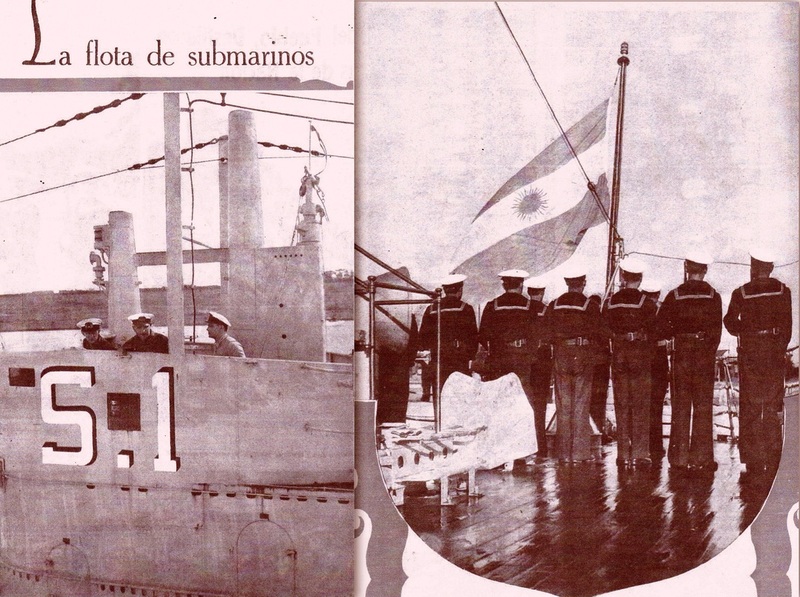 Starting in 1950 the Argentines used the American naval style. 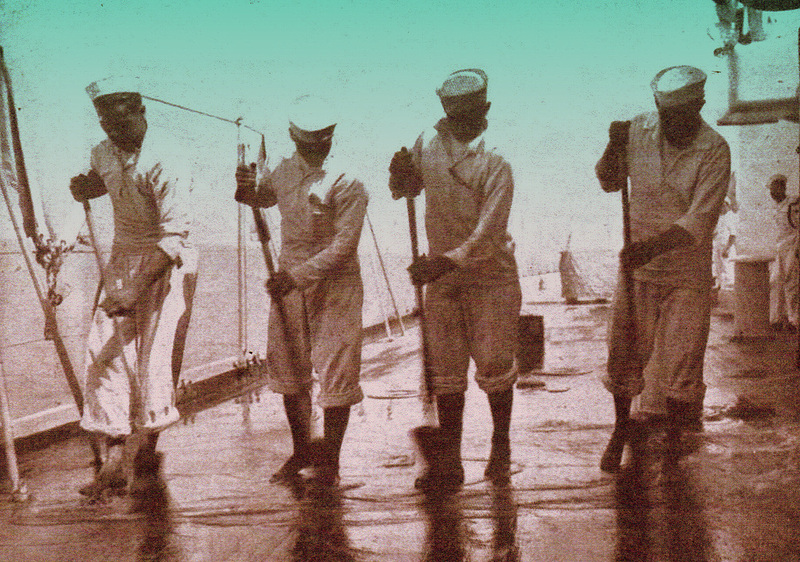 Many surplusAmerican ships and airplanes were incorporated. The Donald Duck cap is still used for parades and excursions. "25 de Mayo" and "Almirante Brown". Caras y Caretas 1936. 1929. Caras y Caretas Magazine. S2 Submarine Santiago del Estero and Dewontine. 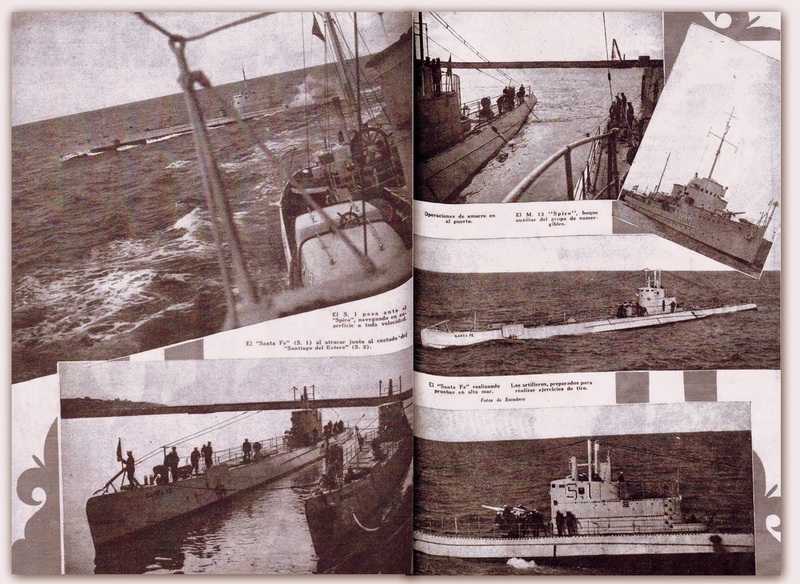 Argentine Submarines. "Caras y Caretas" 1938. 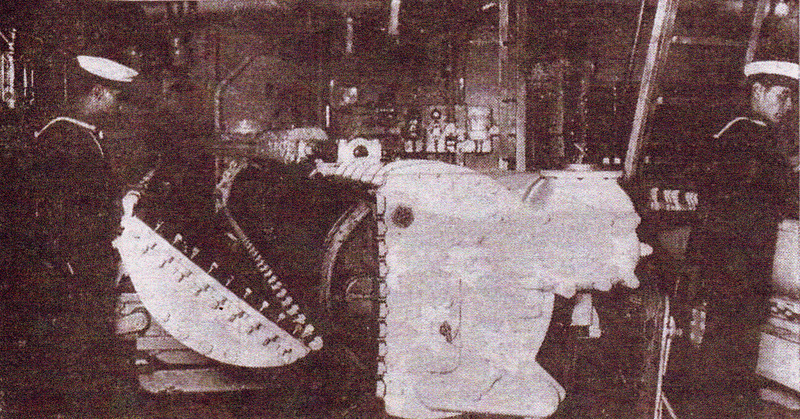 The ARA Moreno consisted of 60 km of cables in the electric generator and distributor of power..
"Dreadnought" Rivadavia, 45.000 HP, oil burners section. Left; Water filter. 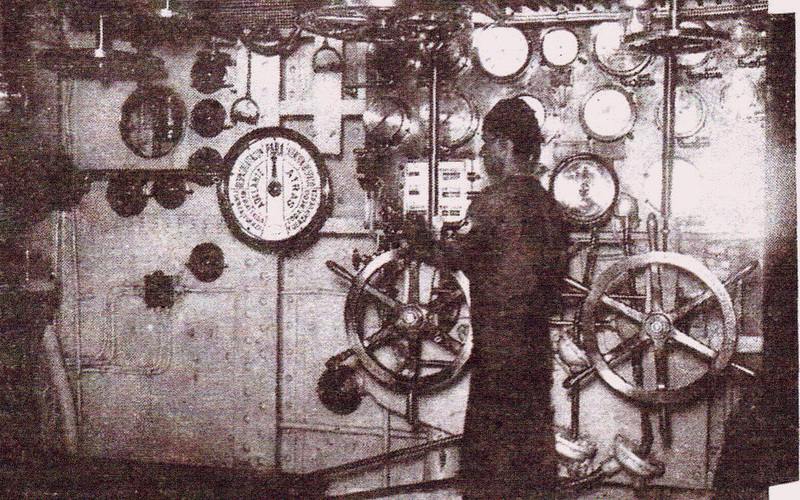 Right; Engine room. 1938. Fatigue Uniforms. "Caras y Caretas". 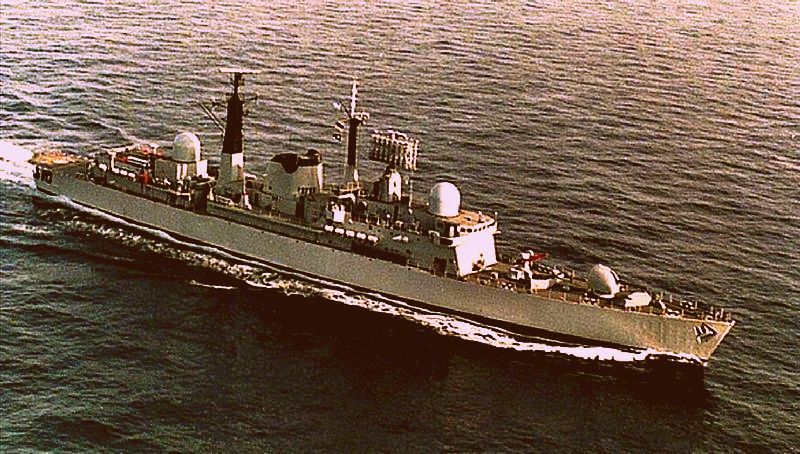 ARA Admiral Brown. Caras y Caretas 1932. Admiral Brown launch-unedited photo. Many thanks to Gian Carlo Moreschi for sharing this with us. 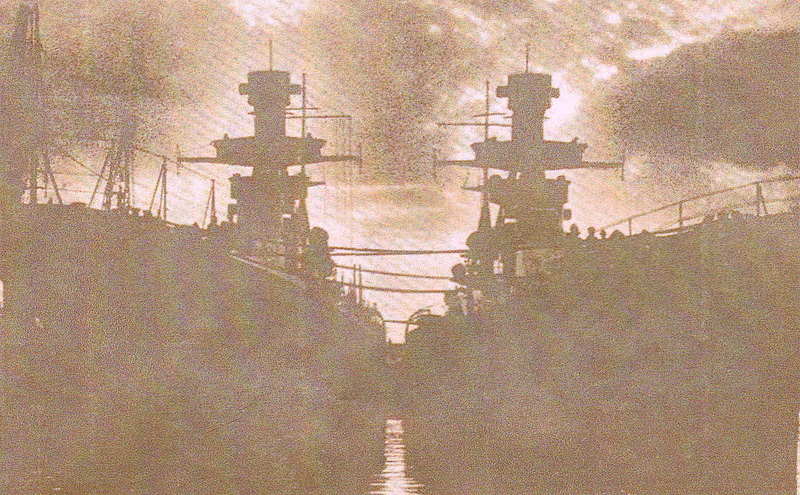 25 de Mayo heavy cruiser commissioned into the Argentine Navy in 1931. Builders OTO. Displacement 6,800 tons standard, 9,000 tons full load. Length 561 ft (171m). Beam 58 ft 6 in (17,82m). Draught 15 ft 3 in (4.66m). Propulsion 2 shalf Parsons turbines, 6 oil-fired boilers, 85,000HP. Speed 32 kts (59km/h). Range 8,030 nautical miles (14,870km) at 14 kts (26km/h). Complement 780. 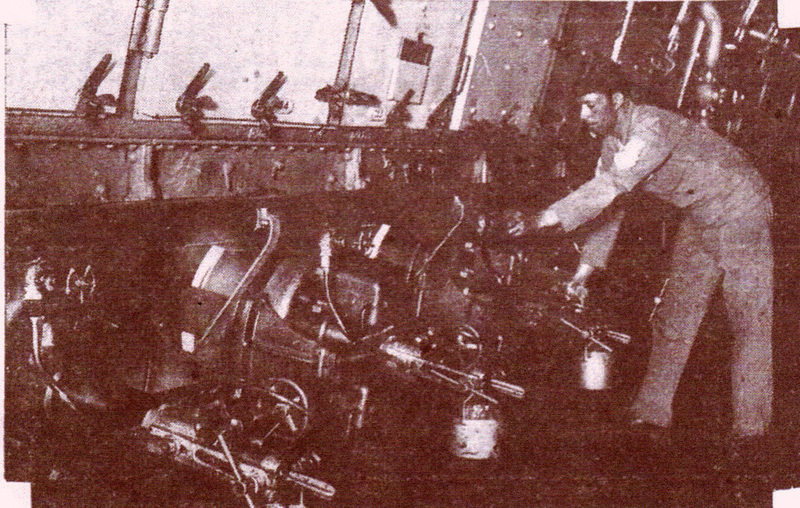 Armament 6 x 190mm (7.5in)/52 caliber guns (3x2). 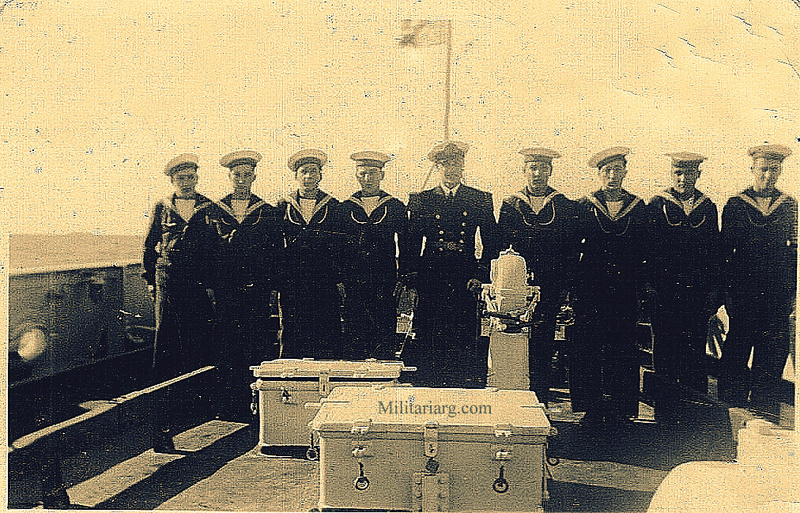 12 x 102mm (4in)/40mm caliber DP guns 6x2. 6 x Vickers-Terni 40/39mm AA guns. 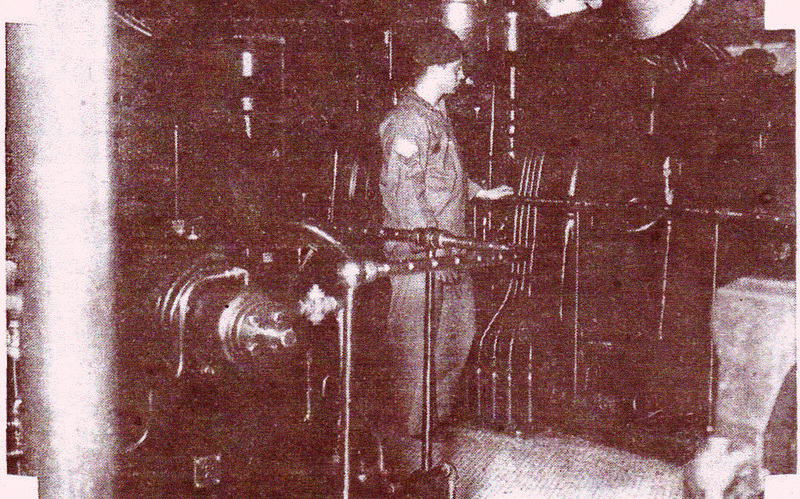 6 x 533mm (21-inch) torpedo tubes. (Wikipedia). 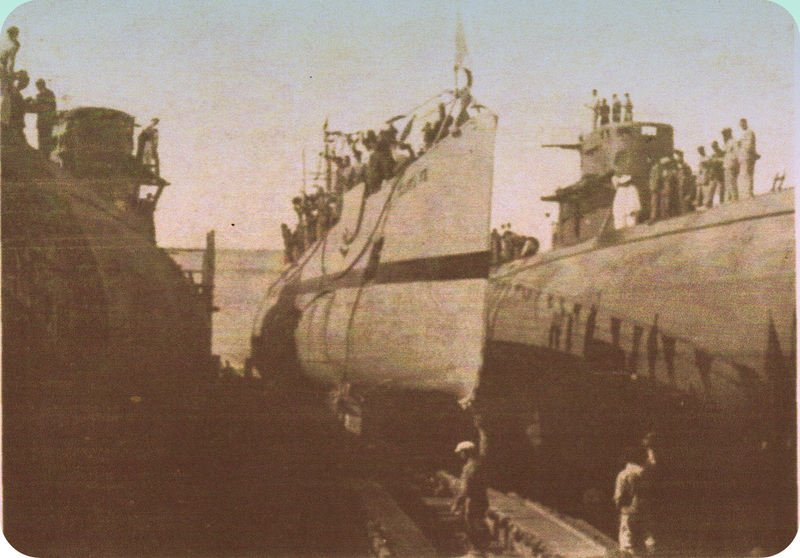 Torpedo boats ARA Tucuman (TN), ARA Mendoza (MA), ARA La Rioja (LR). 1929. ARA Mendoza. Caras y Caretas. 1936-37. Rastreador Bouchard. Arsenal de la Base Naval de Río Santiago. Caras y Caretas. ARA Pueyrredon (1942), was a Garibaldi-class armoured cruiser. The ship was buil in Italy. Launched 27 July 1898, was stricken on 2 August 1954. (Wikipedia). 1900s. Photos: Caras y Caretas. 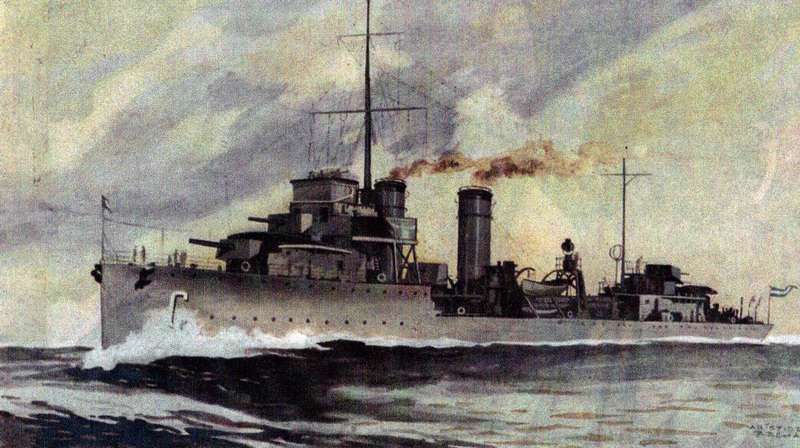 ARA Garibaldi was the lead ship of her class of armoured cruiser for the Argentine Navy. 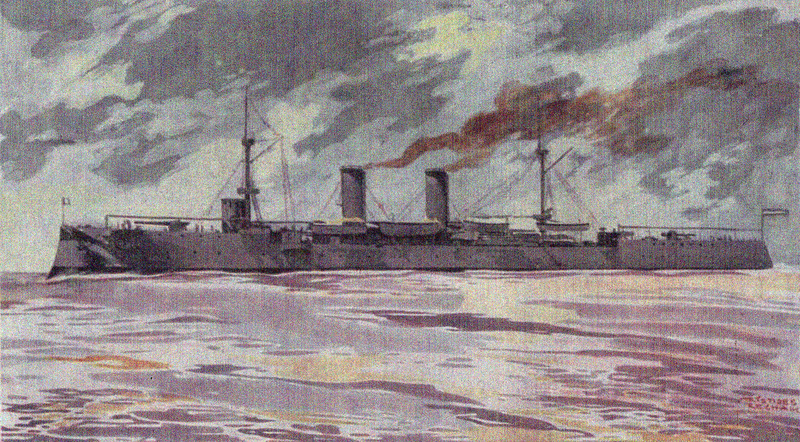 Launched 27 May 1895 and served the Argentine Navy until 1934. 1930. Cruiser 9 de Julio. 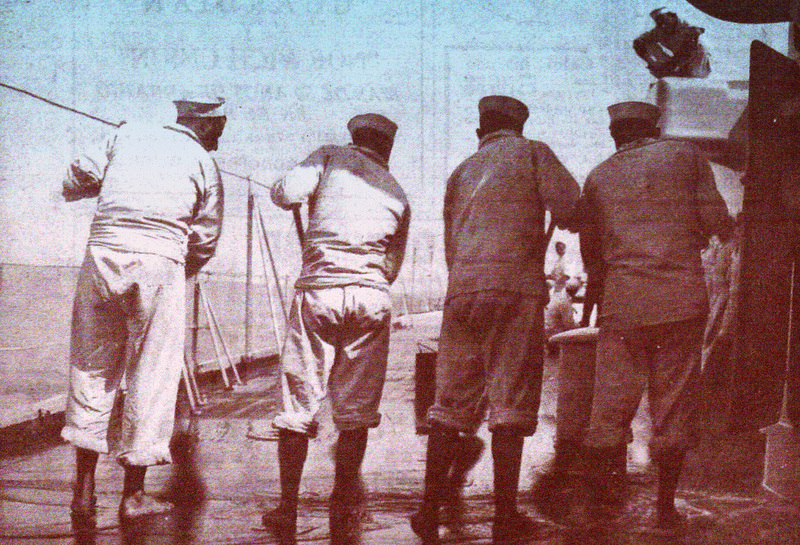 Naval Mechanic School 1931. Caras y Caretas. USHUAIA .Icebreaker ARA General San Martín (Q-4), It was made in Germany and incorporated in the mid-1950s. It was later replaced by the Q-5 Irizar. Note the Land Rover. ARA Santisima Trinidad. AFNE Rio Santiago 1974. She survived the Japanese attack on Pearl Harbor in 1941, and was decommissioned from the US Navy (USN) in July 1946. USS Phoenix was sold, with another of her class (USS Boise), to Argentina in October 1951, for $7.8 million. She was renamed 17 de Octubre after an important date for the political party of the then president Juan Perón. Perón was overthrown in 1955, and in 1956 the vessel was renamed General Belgrano (C-4) after General Manuel Belgrano, who had fought for Argentine independence in 1816. 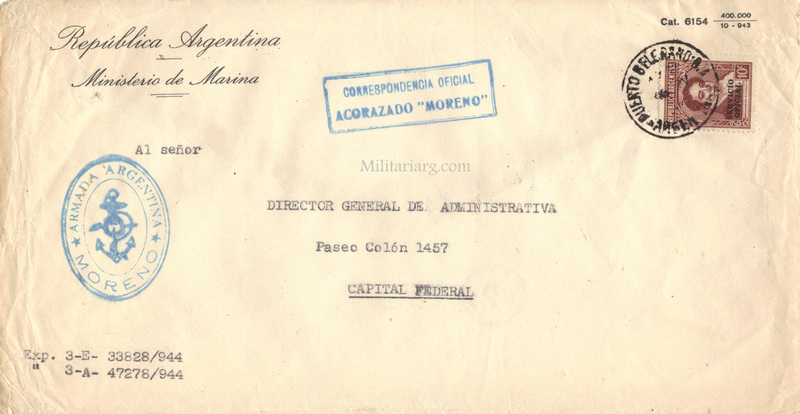 9 de Julio and Gral Belgrano. D-21 ARA Espora, (Fletcher-class destroyer). Ex USS Dortch DD-670. Namesake Isaac Foote Dortch, (The only Navy ship named for Isaac Fortch. Builder Federal Shipbuilding and Drydock Company, Kearny, New Jersey. Laid down 2 March 1943. 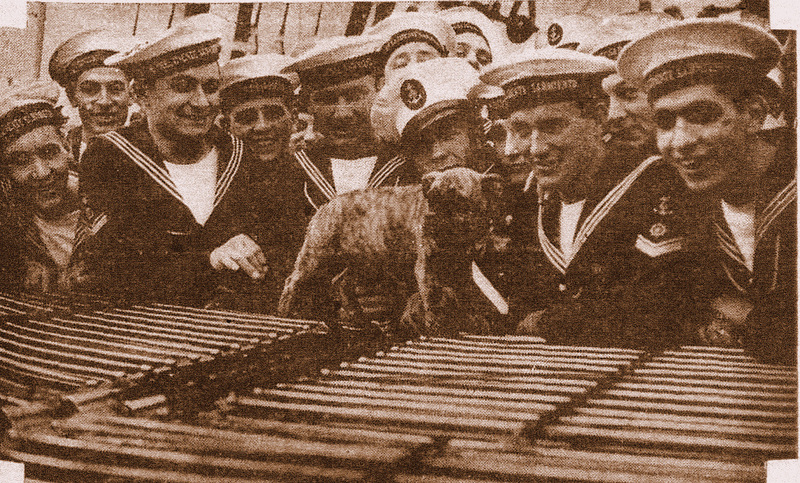 Launched 20 June 1943. Commissioned 7 August 1943. Decommissioned 13 December 1957. Struck 1 September 1975. Displacement 2,050 tons. Length 376 ft 6 in (114.7m). Beam 39 ft (12.1m). Draft 17 ft 9 in (5.4m). Propulsion 60,000 shp, (45 MW) geared turbines 2 propellers. Speed 38 knots (70Km/h). Range 6,500 nautical miles at 15 kt (12,000km at 30km/h). 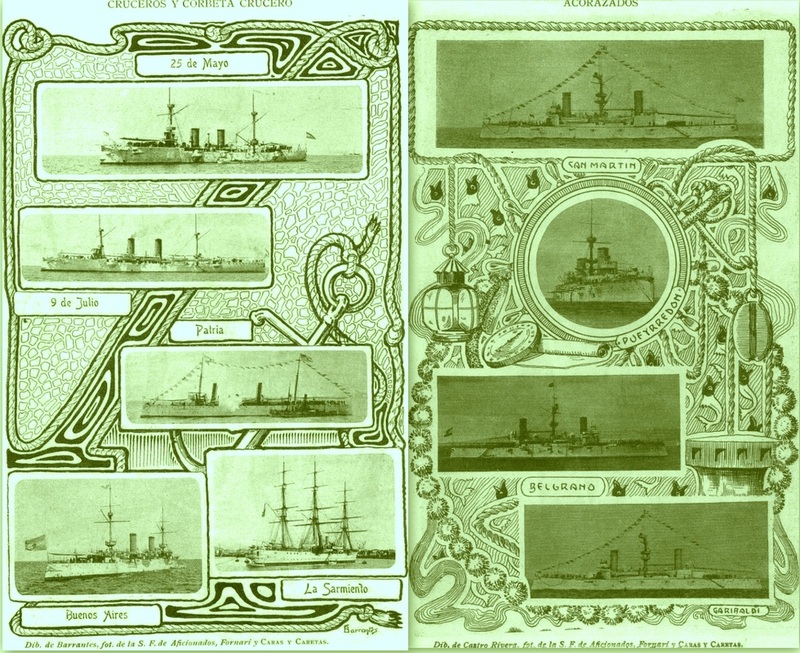 Armament: 5 x 5 in. 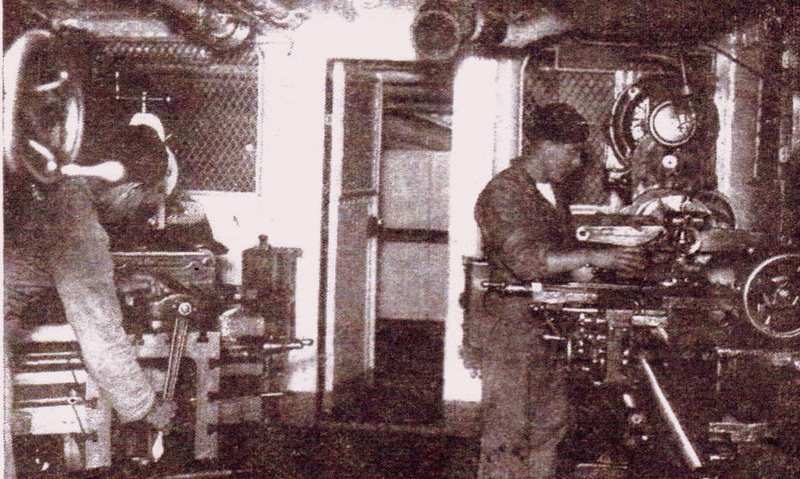 (127mm) 38 guns. 10 x 40mm AA guns. 7 x 20mm AA guns. 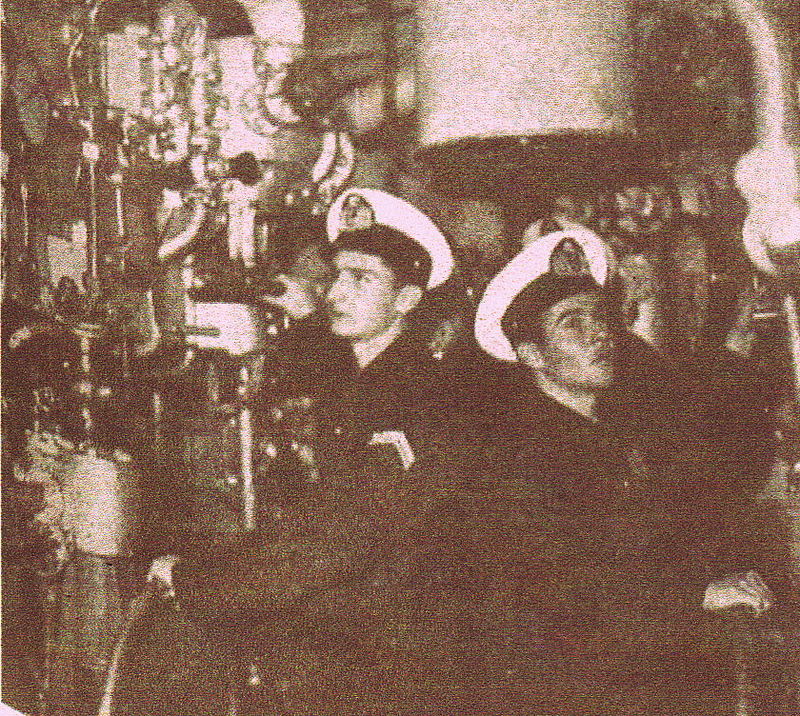 10 x 21 in torpedo tubes. 6 x depth charge projectors. 2 x depth charge tracks. Complement 329. Transferred to Argentina as ARA Espora D-21 1 August 1961. The Espora was stricken from the Argentine Navy list and broken up for scrap in 1977. Source: Info found on Wikipedia. 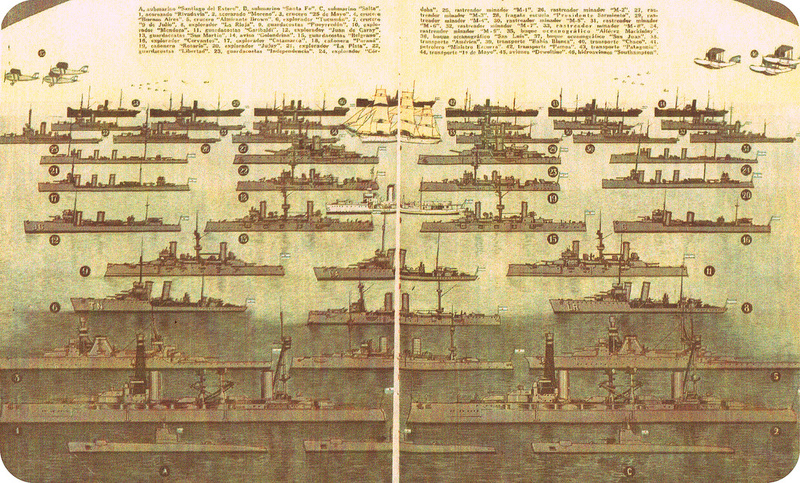 Minesweeper ships. 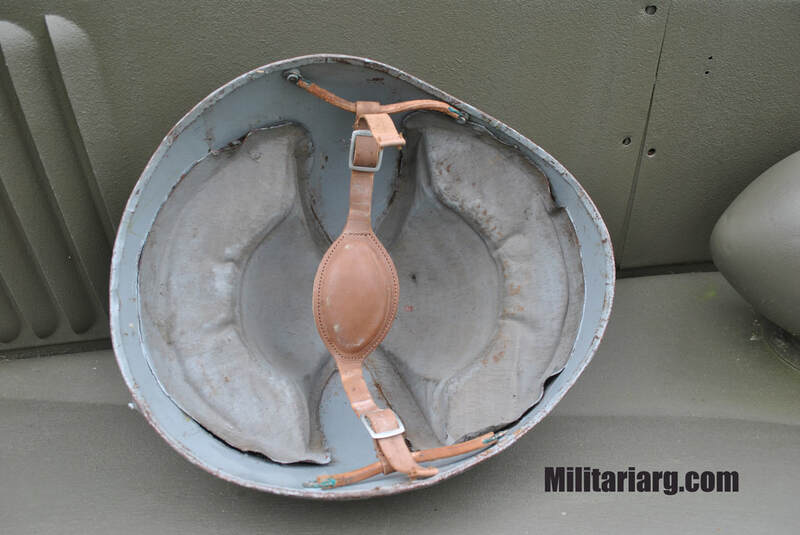 Designed to detect and neutralize mines, as well as avoid the detonation of mines through its magnetic and accoustic signatures. The Intrépida (P-85), class is a class of fast attack craft that was built by Lürssen for the Argentine Navy in the early 1970s. The ships are based on Lürssen's TNC 45 design. Armament: 2 Aerospatiale Exocet MM 38; 1 OTO Melara 3 in (76 mm)/62 compact; 1 or 2 Bofors 40 mm/70; 2 Oerlikon 81 mm rocket launchers; 2 21 in (533 mm) torpedo launchers, AEG SST-4 torpedoes. (Wikipedia). Argentine Navy Diver Badge Insignia. Belt Buckle with Navy Insignia. 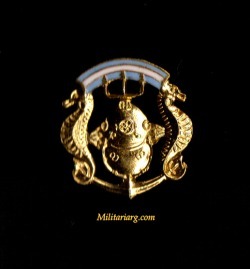 Submarine Badge for overseas cap. Old Donald Duck-style sailor cap. Fast Attack Craft ARA Intrepida (P-85) and ARA Indomita (P-86). Malvinas War. 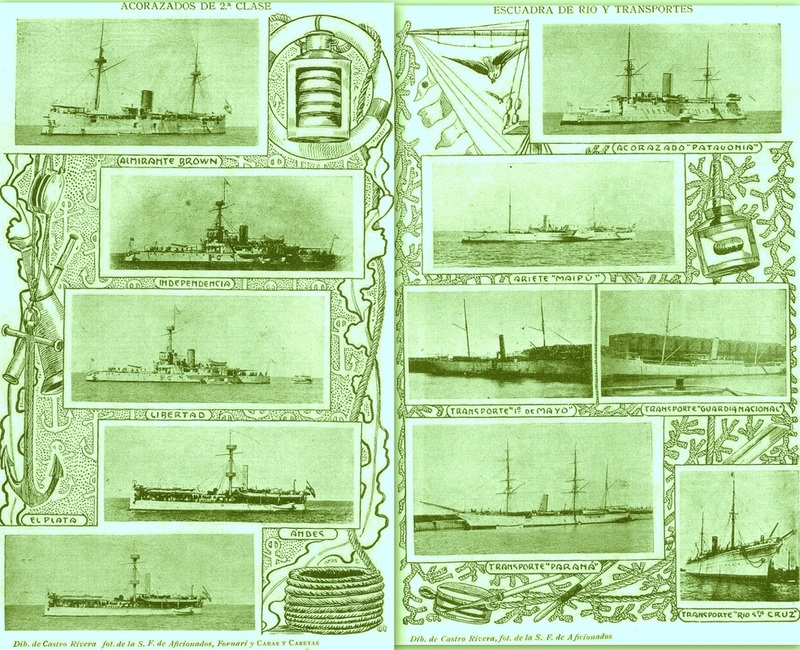 Laird Brothers Birkenhead England, ARA Corbeta Uruguay (1872), and Type-42 AFNE Rio Santiafo ARA Santisima Trinidad. 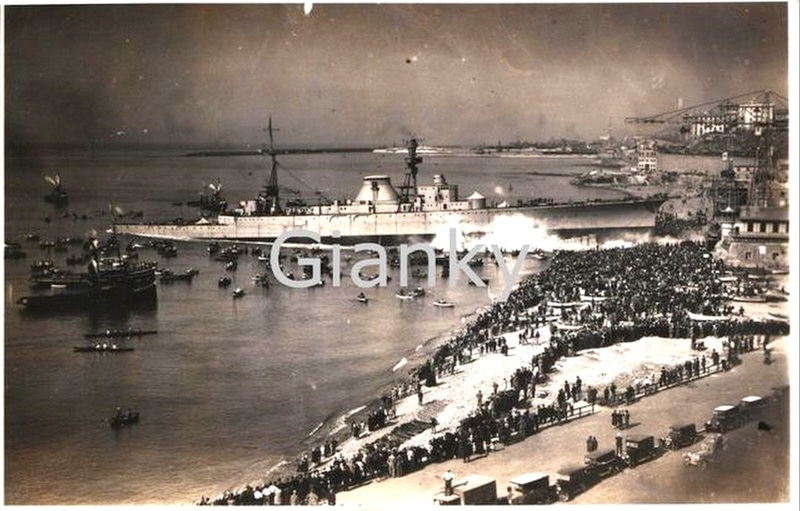 Landing Ship Dock (LSD), Ashland-Class ARA Candido de la Sala (Q-43) and ARA Intrepida (P85). 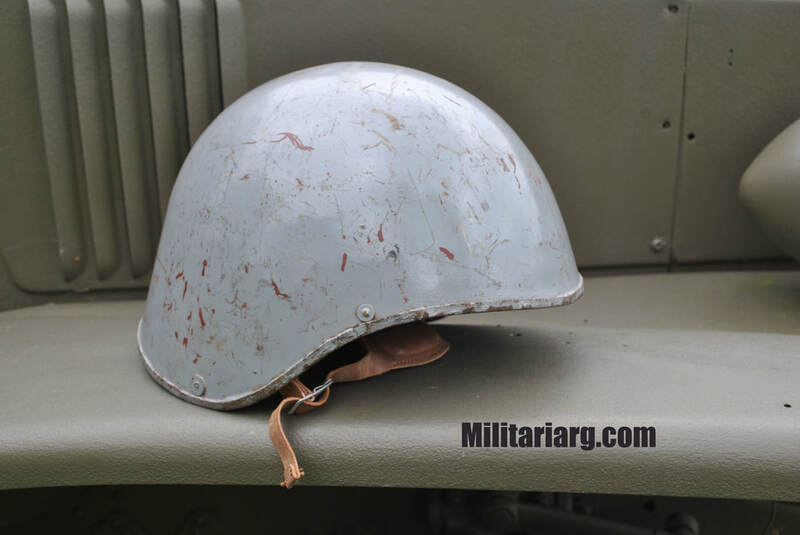 WW2 and South-Atlantic-War Era; MK2 Argentine Navy Talker Helmet. 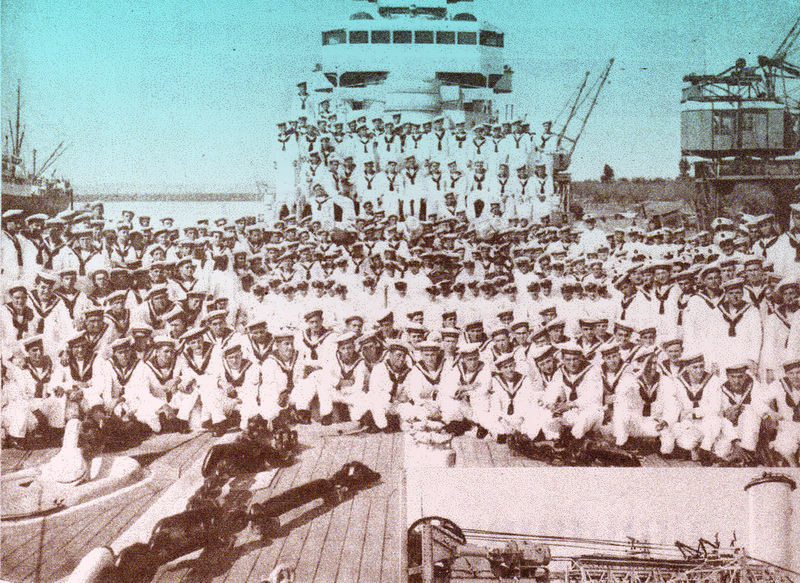 Argentine Navy. Port Visits (Worl Wide). 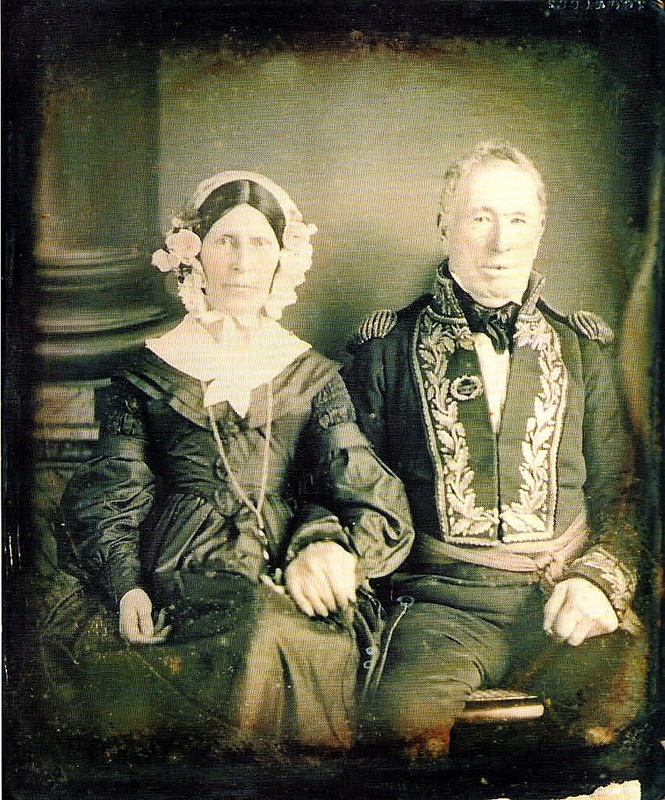 This page is dedicated to The Argentine-Irish Admiral Guillermo 'William' Brown. 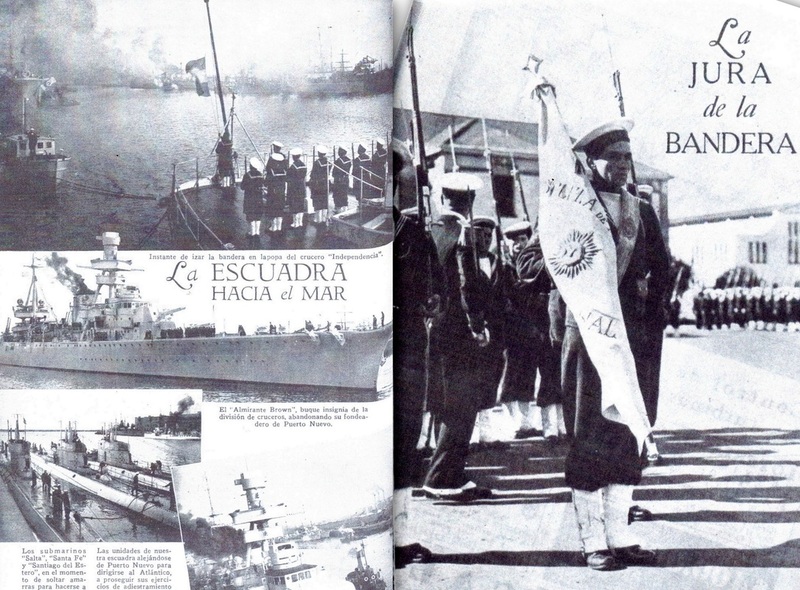 Photo: "Historia de los Uniformes Navales Argentinos - History of the Argentine Naval Uniforms" by Luqui-Lagleyze.